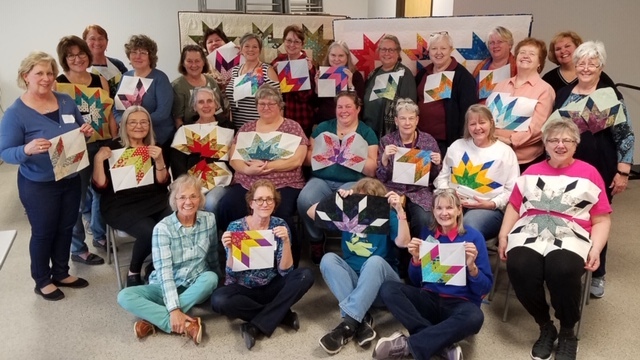 The first workshop at the Greater Houston Quilt Guild; the Lone Starburst class! 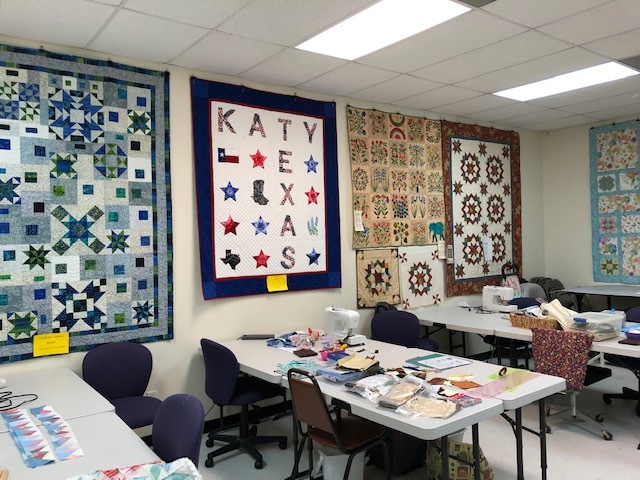 I had the privilege of traveling to Houston, Texas, last week to spend several days with two area guilds, the Greater Houston Quilt Guild and the West Houston Quilt Guild. They were such nice ladies and I enjoyed my time with both guilds immensely! 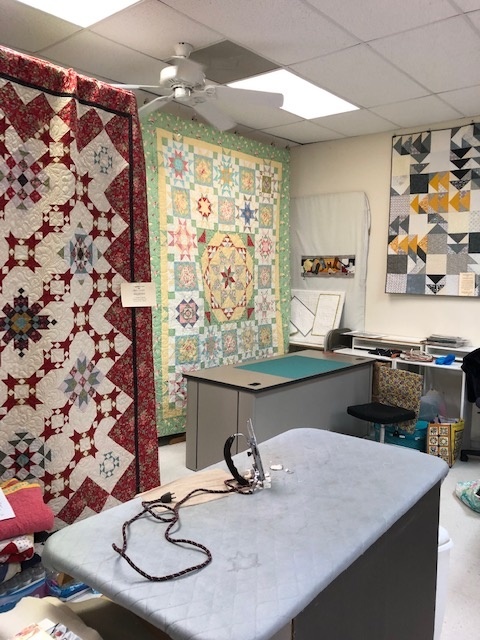 Even though the schedule was pretty tightly packed with guild activities including two lectures and two full-day workshops, my sweet and obliging driver, Julie, managed to squeeze in a side trip for me to visit a wonderful Janome dealer and full-service quilt shop, Quilt-N-Sew Studio in Katy, Texas. 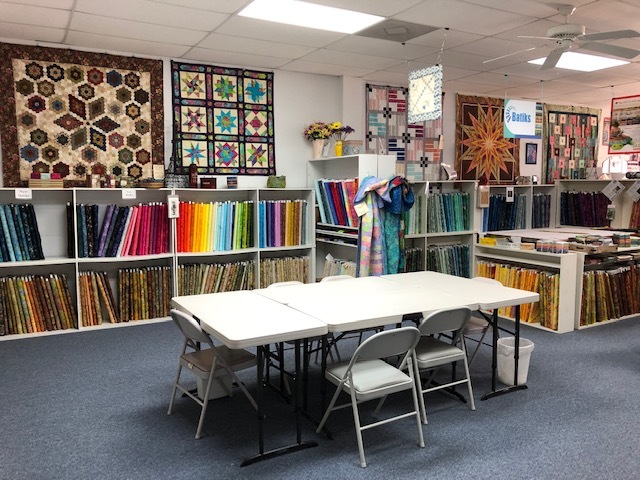 The first thing I noticed upon walking through the door was how light, bright, and airy it is inside the shop, which is conveniently located but tucked into the corner of a shopping center. 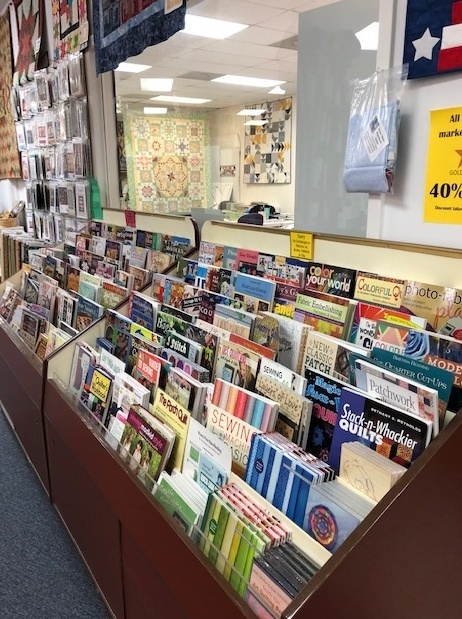 There is ample parking outside and easy access to the shop without having to navigate stairs or a long hike to the entrance. We were instantly greeted by a couple of nice ladies on staff in a warm, welcoming, Texas-friendly manner. 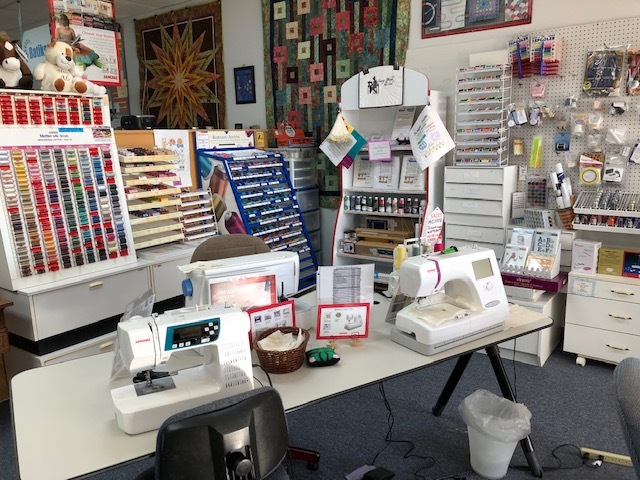 And located prominently at the entrance was a nice selection of Janome sewing machines and a fabulous selection of accessories! 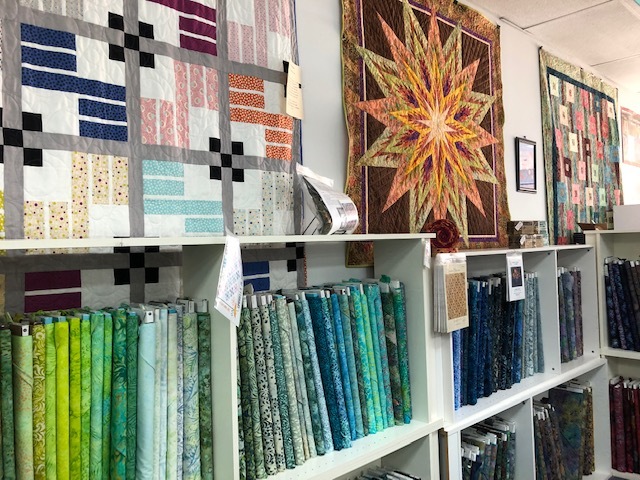 After scoping out the wonderful accessories and notions wall, I was drawn to the fabulous selection of fabrics. 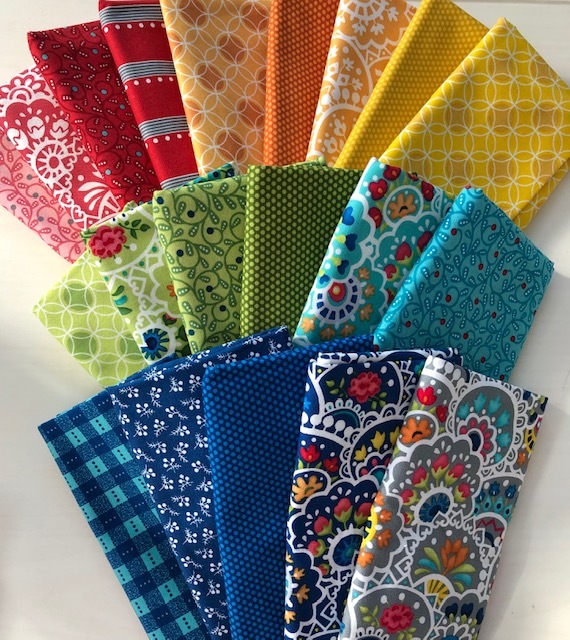 The shop owner, Terri Burton, has done a great job of stocking the newest fabric lines of brightly saturated colors, modern designs, spectacular prints, and batiks. 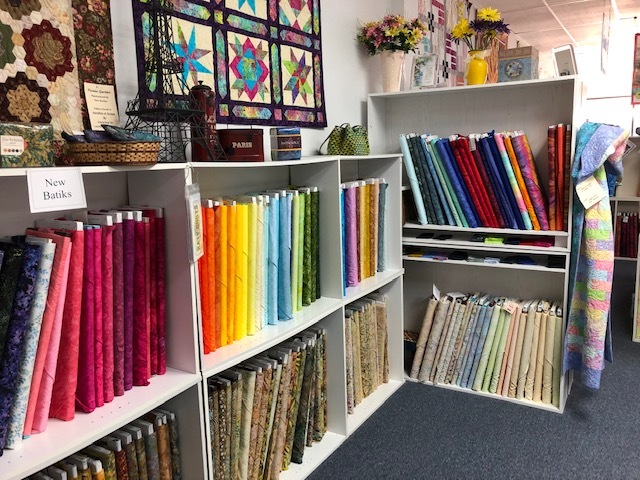 In short, she had many great options right up my alley including a variety of precut fabric bundles stashed throughout the shop! 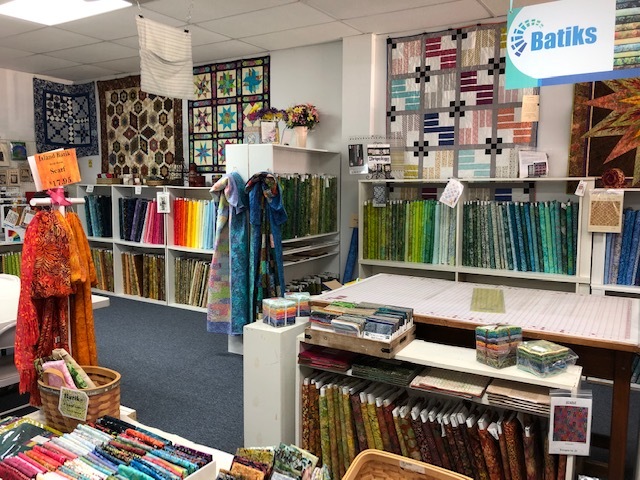 The shelves and displays for the many bolts of fabrics were arranged with a real “feng shui” feel so navigating the aisles was convenient and easy as one display led to the next. 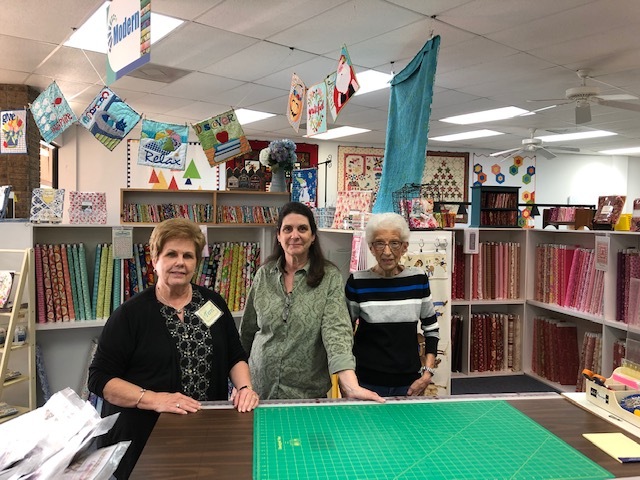 Owner, Terri Burton (left), Liz Matthews, and Dolores Nelson. 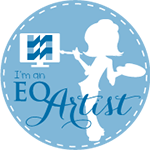 Thanks, ladies! 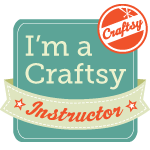 It was my privilege to to get to know you all! 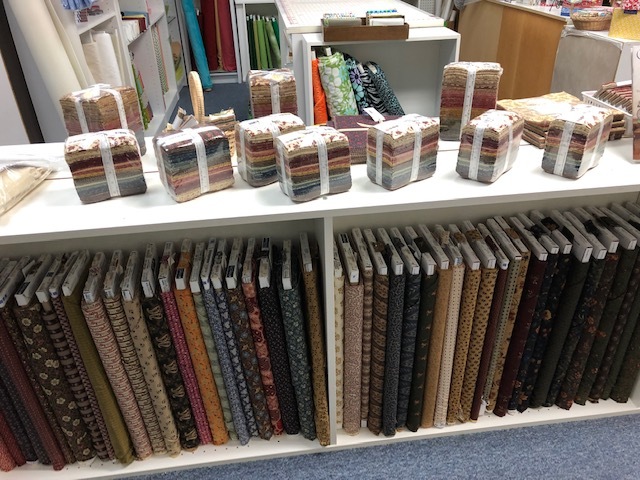 For those of you who prefer primitive-style and reproduction fabrics, Terri carries those, too! I especially loved her creative and clever displays! This replica covered wagon is so stinkin’ cute! 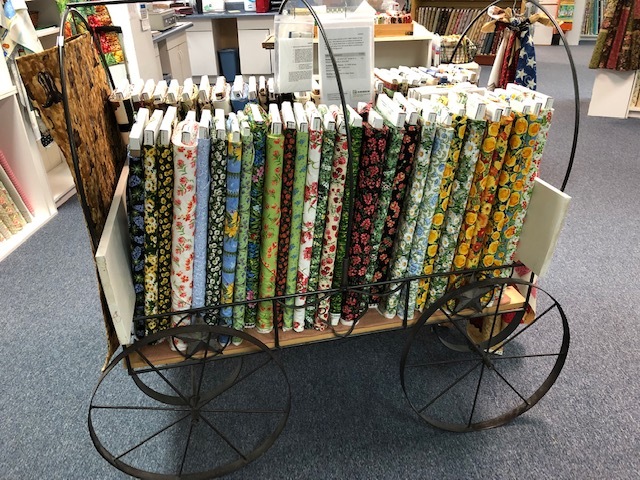 Terri carries a wide variety of books and patterns, too! 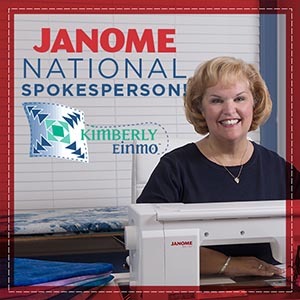 ….with plenty of space for everyone to cut, press and sew to their hearts’ content! 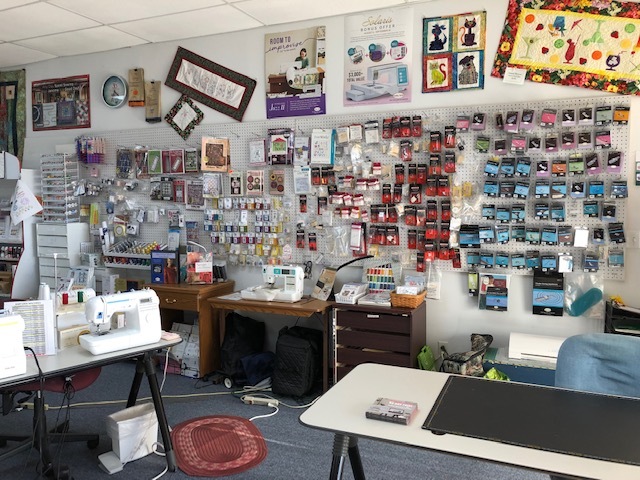 And even if the bright classroom is in use, there is yet another meeting space where groups can meet to work on group projects, make plans, or just get together and stitch like a good, old-fashioned bee. While I was there, these beauties may or may not have found their way into my possession. Just sayin’. 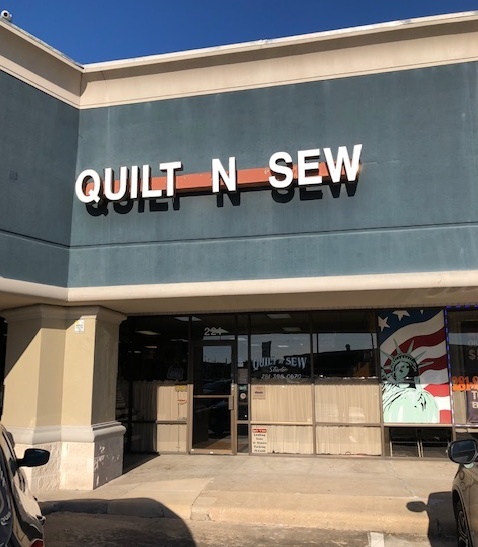 So if you find yourself in Houston, or anywhere near Katy, Texas, you simply MUST stop and check out this fabulous shop. You’ll be greeted with Texas hospitality and you’ll find everything you came looking for. Plus a little bit more! 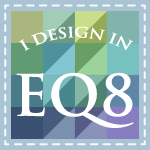 thanks for sharing my lqs with all your followers. Fun to see another drop in shop. What a great shop. A fun way to see and meet new people.